After an early start with tea and biscuits, you will leave for the summit at 02:00 hrs. 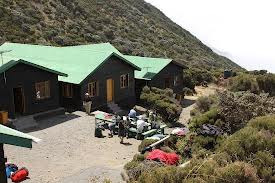 By torchlight, you will follow the trail through bush land to the so-called Rhino Point (3821m) in which the path turns into a little more challenging trek with occasional light climbs. You will follow the north ridge to the summit on which you walk on ground alternating between lava ash and rock. After approx. 4 - 5 hours, you will have the summit and the Tanzanian flag in your sights. 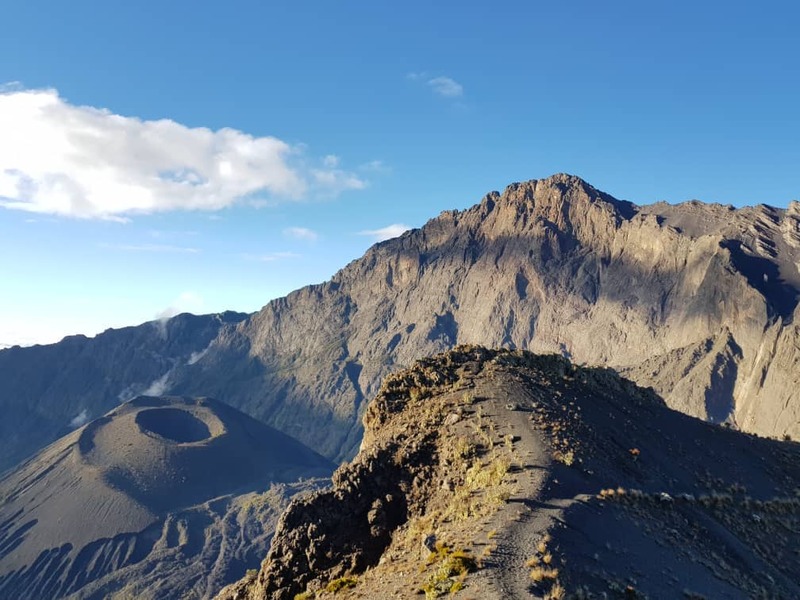 From the summit, you will be able to enjoy the sun rising above Kilimanjaro and the fantastic view of Mount Meru's crater with its steep sides and the "Ash Cone" in the middle. The descent follows the same route back to Saddle Hut (3550m) where you will take a well-deserved break and recuperate with hot soup and tea. Once refreshed, you will continue with the descent. During the early afternoon, you will reach Miriakamba Hut (2500m) - tired but happy. At this hut, you can rest a bit and think about the last stage that you have left. After the rest you will follow a 2 - 3 hour trek over the so-called 'Northern Route' back to Momella Gate. The descent is shorter than the ascent but there is still the chance to see elephants, buffalos, giraffes as well as the black and white columbus monkeys. At the gate, you will say farewell to your hiking crew and your driver will take you back to Arusha.